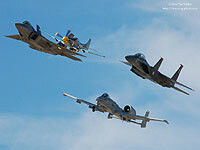 The list below shows the awards and published works of Van Gilder Aviation Photography in 2006, including the periodical or award with the photo below. 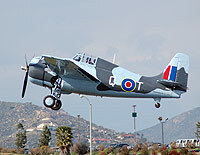 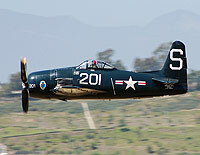 - AvWeb's Picture of the week winner. 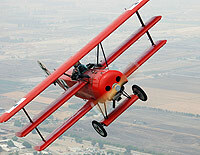 Picture of Jimmie New flying the Fokker DR.1. 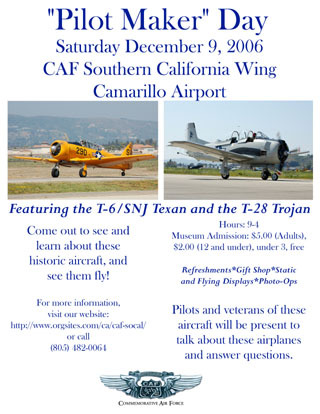 of the CAF SoCal Wing's website. 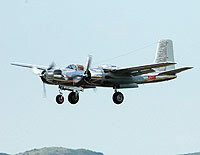 Page 3 (Index page) Closeup picture of the B-25 Mitchell "Heavenly Body". 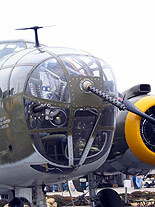 Page 29 closeup picture of the nose of the B-25 Mitchell "Heavenly Body" for the article From Anzio Beaches to the Burma Jungle. 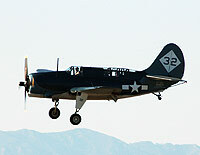 Page 10 picture of the CAF SNJ-5 "290". 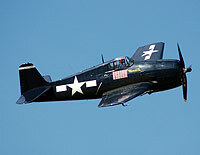 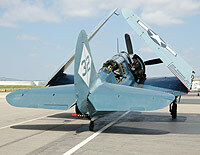 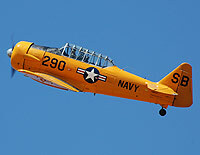 Masthead picture of the F8F Bearcat. 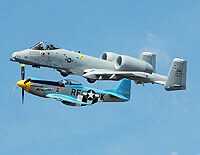 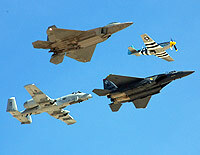 Page 7 photo of the USAF Heritage Flight.